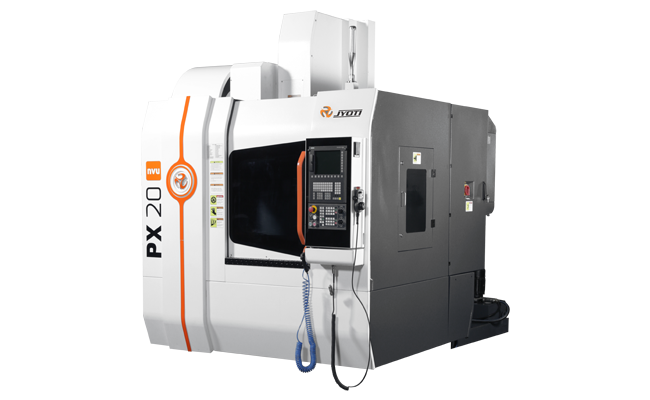 PX nvu Series - Jyoti CNC Automation Ltd. Broader base foot print and stiff column. High Performance 6000rpm rigid BT-40 spindle. Twin arm type auto tool changer with 20 tool. 4th & 5th axis machining by using rotary table. Electrical with quality device and panel A.C.
Rear side efficient chip flow.